Goodbye Damarious Randall: What’s Next for the Green Bay Packers? New Packers GM Brian Gutekunst declared that he’d be much more aggressive in free agency and in the offseason. So far, this has held true. The Packers have already dealt arguably their best corner this offseason to the Cleveland Browns for their starting quarterback, Deshone Kizer, who will likely be Rodgers’ backup. In addition, the Packers swap picks with the Browns essentially moving up 13 spots in both the 4th and 5th rounds. Educated Packers fans would agree that the secondary has been extremely underwhelming and thin as of late. So what benefit is it for Green Bay to deal one of their better plays in the defensive backfield? Go back to the Chicago-Green Bay game. Randall was burnt a couple different times and one for a score. Allegedly, he pouted on the sidelines and pointed fingers. He and McCarthy had a heated exchange which led to Randall being directed to the locker room. From there, the relationship was severely strained in which McCarthy said Randall needed to “clean his own house” in response to Randall saying the Packers needed more accountability. According to recent reports, several Packers veterans wanted Randall gone after that particular game due to his antics and lack of professionalism. Well, they finally got their wish. So, having said that, what’s next for our beloved Packers? You have to think Gutekunst has a plan to fill the roster with capable cornerbacks. Currently, one could argue that we have only one legitimate starter and that’s Kevin King, a second-year player coming off of a shoulder surgery. Most would assume that Gutekunst must acquire 2-3 cornerbacks in the draft and/or free agency. As one of my previous articles states, I’m still under the assumption that the Packers will come away with Josh Jackson, cornerback out of Iowa. His speed (or lack thereof) is a concern but his playmaking ability on the field stands out for all to see. Since many teams love the measurable as determined at the combine, it is likely that Jackson slips a little down the board. He may be available in the bottom third of the first round. If that’s the case, I still like Green Bay packaging some picks and re-entering the first round. They can and likely will select either Josh Jackson or even Denzel Ward out of Ohio State to match up with King. Another option Gutekunst could take is to restructure several veterans giving the team some much-needed cap relief to go out and acquire a prized free agent. Since Richard Sherman’s free agent journey was short lived as he signed with the San Francisco 49ers (3 years, $39 million dollars with a $5 million signing bonus), the team must continue to scour the market for capable players. One to watch is the Los Angeles Rams’ cornerback Trumaine Johnson. 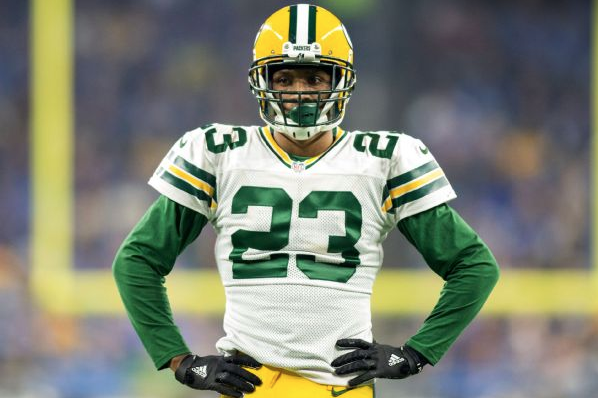 He is a capable cornerback who would be an automatic upgrade from Damarious Randall. Pair Johnson with King and a rookie, either Jackson or Ward, and you have a more than serviceable backfield with a ton of years to grow and develop. In the end, the Packers decided that Randall was too big of a problem to keep around in spite of being thin in the secondary. We have to hope that Gutekunst didn’t trade him without a concrete plan in place to shore up the secondary. The new defensive coordinator Mike Pettine stated in his first press conference that the primary goal would be to stop the pass. This is extremely smart since the NFL has developed into such a passing league. Saying it and doing it are two different things, however, and the Gutekunst dealt one of the pieces that we all would have guessed would have been asked to contribute in 2018. 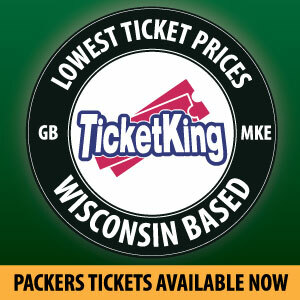 Let’s hope the chips fall in the Packers’ favor and they land either a free agent or two as well as draft some. This feels like a total rebuild but let’s hope in the end it can be considered more of a retool. What are your thoughts on the trade and how should the Packers move from here? Let me know your thoughts. Make your voice be heard and, as always, Go Pack Go! Robert Martin bleeds green and gold despite living in North Dakota, where many cheer for the purple. He is currently a writer for PackersTalk.com. You can follow him on Twitter @robertmartinPHD. This entry was posted in Uncategorized and tagged Damarious Randall, draft, Free Agency, Green Bay Packers. Bookmark the permalink.